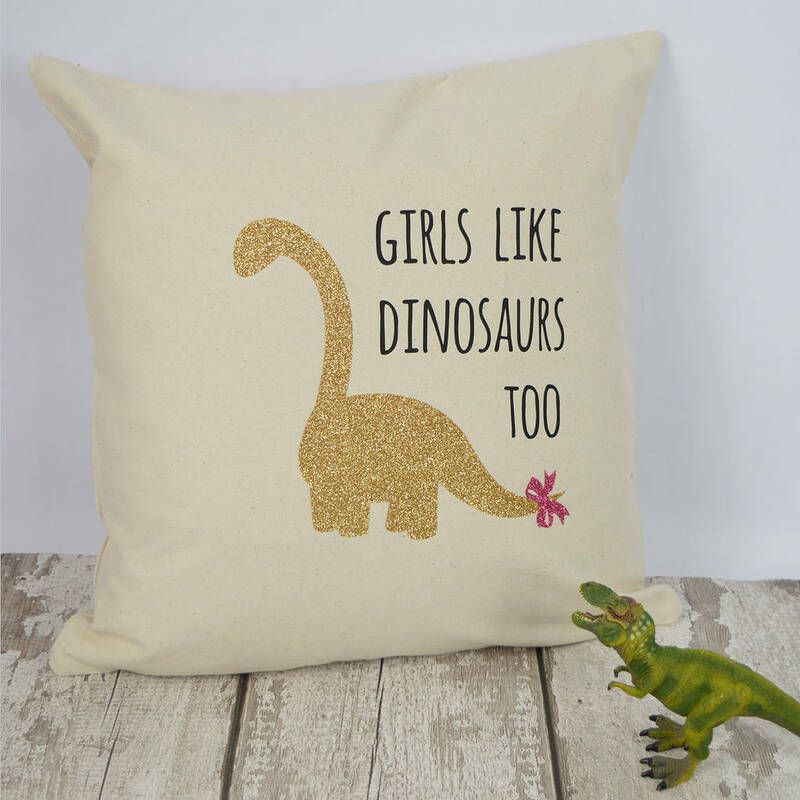 A stunning personalised glitter print cushion with a personalised 'Girls Like Dinosaurs Too' design. A wonderful gift perfect for any Dinosaur fan. 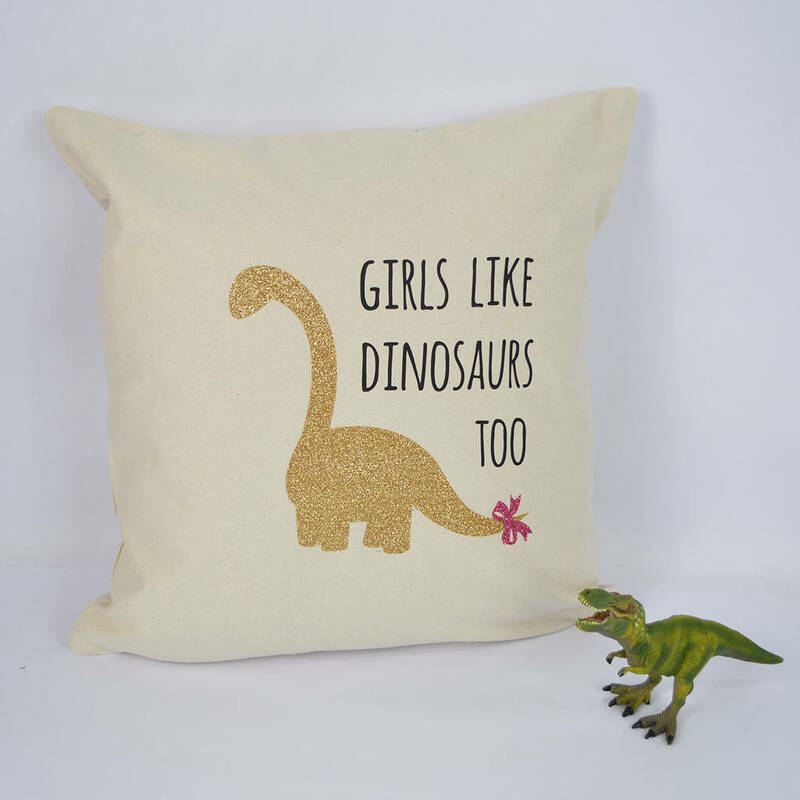 This super cute cushion can be personalised with any dinosaur-rex name you like. 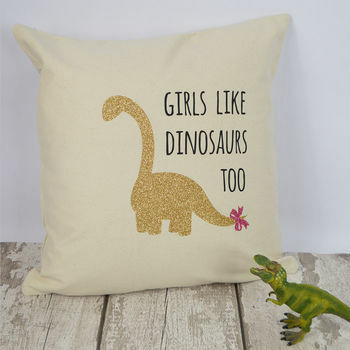 A perfect gift for any dinosaur fan, whatever their age! The 16x16" cushion is made from 100% washed cotton canvas.